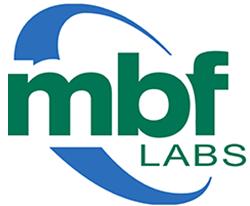 MBF Labs is a contract research organization specializing in stereology services and neuron reconstruction. We utilize the innovative Stereo Investigator and Neurolucida software produced by MBF Bioscience to provide you with unbiased, reliable analysis using stereology and neuron reconstruction. We realize that there is a growing need for researchers to greatly increase the rate of their data collection. By outsourcing your unbiased stereology data collection and analysis to us, we better enable you to devote your valuable time for experimental design and interpretation. We provide stereology services to clients in pharmaceutical companies and universities on 3 continents. MBF Labs can perform detailed morphometric analysis of neurons. This technique will create a visual representation of how individual or multiple neurons are positioned in three dimensional space. We offer services from full neuron tracing to localized dendritic spine analysis. Our staff scientists are skilled at all aspects of data collection and management. We are adept at projects ranging from small exploratory pilot studies to large, complex projects. MBF Labs uses the most advanced systems available to collect and analyze your data. Our skillful technicians are experienced and efficient. When you outsource your stereology analyses to MBF Labs, you get reliable results quickly. No other contract research organization offers the breadth of service, high competency and level professionalism that MBF Labs provides. An additional benefit in allowing us to collect the data for your study is the elimination of the necessity for you to invest in costly specialized equipment, personnel and facilities. We will apply our experience as the recognized leaders in neuroscience quantification to help you effectively attain your research goals. Let MBF Labs be an instrumental part of your research by providing you with the most expert and dependable stereology services, data collection and analyses.